Under-five Mortality Rate (2015): 49 deaths per 1,000 live births (ranked 46 of 193). Source: UNICEF SOWC Report, 2016. Human Development Index (HDI) for 2014: 0.548 (ranked 145 of 188). Source: UNDP, Human Development Report, 2015. ChildFund International, founded in 1938, marked 77 years of service to the world’s most vulnerable children in 2015. 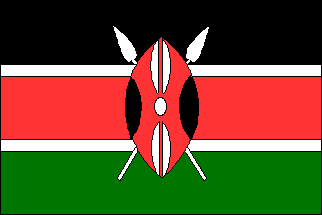 Formerly known as Christian Children’s Fund, ChildFund first came to Kenya in the early 1960s through the Salvation Army, a religious organisation. This was in response to the appalling conditions of children in the country, brought about by the political, economic and social realities of the time. ChildFund Kenya is currently implementing a host of projects with 38 Local Partners (LPs) that target children and youth, in 25 counties of Kenya. The projects focus on education, health, water and sanitation, economic livelihoods and response to emergencies. During FY15, ChildFund Kenya continued to work with its Local Partners to support vulnerable children, families and communities in 25 counties. The focus was primarily through the three life stages: Healthy and Secure Infants (Life Stage 1); Educated and Confident Children (Life Stage 2); and Skilled and Involved Youth (Life Stage 3). Under the Healthy and Secure Infants, an increased access to health services has been observed as this was strengthened through the sensitization meetings and partnerships with the Government of Kenya (GOK) line ministries. Strengthening child protection systems, under Life Stage 2, was in place and capturing children’s voices through the Free from Violence campaigns in an effort to see the visibility of the SDGs. Under the Life Stage 3 – Skilled and Involved Youth – improving life skills by offering vocational skills training was the main focus, to enable youth to acquire skills for income generation. There has also been a focus on increased access to resources and youth friendly services through the devolved funds provided by the Government of Kenya (GOK) in the various counties. Building Healthy Relationships: Through a CHNF funded grant, ChildFund Kenya has: (1) reached over 3,094 caregivers of 6,467 children 0-5 years; (2) built the capacity 32 trainers of trainers (TOTs) and 24 supervisors (CHVs and ECD providers), 804 CHVs, 215 ECD Providers; and (3) supported 221 ECD centres in Nairobi and the Coast. Monitoring and evaluation data and discussions from reflective meetings (held by the CHVs/ECD Providers and TOTs) indicate that young children have good agency and healthy relationships with the important adults in their lives, and are enjoying good interaction with their primary caregivers. Currently, caregivers are spending more time caring for their children compared to the time when the project started implementing its activities in both Nairobi and the coastal regions. Increased Access to clean water sources: In collaboration with local implementing partners and communities, ChildFund Kenya ensured access to clean and safe drinking water from a borehole in Ngilai for the Emali Primary School, benefiting approximately 470 households, and over 23,000 livestock. The successful completion of the boreholes not only mitigated the water shortage for children and their families but also the burden of walking miles at a time to gather water from streams and ponds full of water-borne disease. Additionally, many families and learning institutions have started establishing vegetable gardens to increase availability of nutritious foods for individual families and ECD Centres (Early Childhood Development). This improved the nutritional status of children and families as well as household incomes. Other benefits of these interventions include: increased school retention since children have consistent attendance throughout the year; improved school performance due to increased study, by saving time walking long distances to look for water, improved hygiene and health due to reduced water borne diseases such as Diarrhoea, eye infection, skin infections and typhoid— caused by use of unsafe water; improved community lifestyles as community members no longer need to keep migrating with their animals but live a more settled lifestyle where they can invest saved time for alternative income generating activities as well as improved health of livestock. Further, in order to enhance hygiene and sanitation standards in the ECD centres and reduce chances of contracting diarrheal diseases, 48 ECD centres with a total 1,416 beneficiaries (743 females, 673 males) were supported with 5,000 litre safe water vessels were provided to improve access to safe water through rain water harvesting. 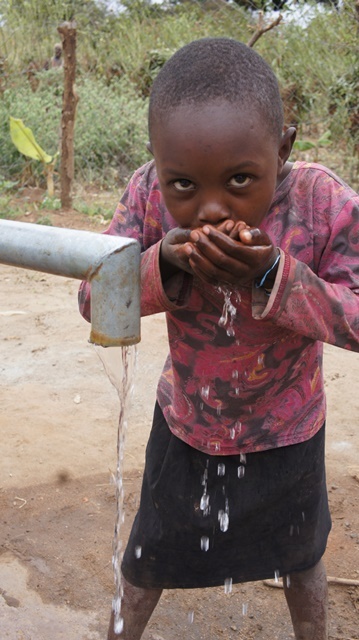 One of the LPs ECDP supported 18 ECD centres and trained ECD caregivers on safe water systems and personal hygiene. It’s expected that the ECD caregivers will continue supporting children to effectively use the hand washing vessels and practice proper hand washing practices. Increased Access to Health Services: During “Malezi Bora Week,” sensitization meetings were held for caregivers of children under 5 years. This effort benefitted 6,721 children (3,509 females and 3,212 males). These caregivers, including pregnant and lactating mothers, were sensitized on integrated management of childhood illnesses (ICMI) – a systematic approach that focuses on the wellbeing of the whole child. IMCI aims to reduce death, illness and disability, and to promote improved growth and development among children under five years of age. IMCI includes both preventive and curative elements that are implemented by families and communities as well as by health facilities. The caregivers were also sensitized to child nutrition (particularly exclusive breastfeeding), and antenatal and postnatal care. Results included: (1) opportunity to provide integrated case management of childhood illnesses; (2) improved service delivery to pregnant women, to ensure reduction of complications; (3) enhancement of knowledge for lactating mothers on new-born care; (4) promotion and advocacy for good health care practices; and (5) increased awareness and emphasis on family planning. Creating an enabling environment for ECD children: In partnership with the Ministry of Education’s Department of Early Childhood Development and Local Partners, ChildFund Kenya trained 50 ECD teachers and caregivers (49 females and 1 male) on child health and nutrition to support 2,188 children (1,087 females and 1,101 males) in ECD centres. The training equipped caregivers with skills and competencies, to enable them to deliver high quality outcomes. Additionally, caregivers in 19 ECD centres were trained to develop learning materials using locally available materials for sustainability, to support early cognitive development, and to help prepare the children for a smooth transition to primary school. The trained caregivers are Community Own Resource Persons (CORPs) who ensure a safe environment and quality care for children who access ECD centres as well as those at home. Strengthening Child Protection Systems: During FY15, 26 clubs reaching 1,293 school going children (662 females and 631 males) were established through local partner efforts. Busibi FHP Local Partner, in collaboration with CLAN Kenya and paralegals, established Child Right Clubs in Nambuku, Busulere, and the Namboboto Girls and Nerobia Primary Schools. These clubs provided an opportunity for children to raise issues affecting them and discuss mechanisms in place for necessary action at a higher level. Each school identified a patron teacher trained on child rights and presented issues reported to paralegals for action. In addition, a total of 52 Aflatoun club leaders (26 females and 26 males) drawn from ECDP Local Partner schools in Mwala and Ngwatanio programme sites were trained for two days on club leadership roles and responsibilities. The training was aimed at empowering the leaders to champion children’s rights at school and in the community and establishing various enterprises to support club activities. Further, a total of 250 children (125 females and 125 males) were trained on Psychosocial Support (PSS) using the Hero PSS Book and journey of Life (JOL) tool. The training helped the children develop strategies and tactics that will allow them to face problems positively in the future. It also gave them skills and knowledge to identify their heroes, set their goals, identify obstacles that hinder them from achieving their goals and identify support structures within their communities. Children Voices Heard: The Emali Dedicated Programme in collaboration with World Vision and the Children’s Department in Kajiado County facilitated a county-wide children’s forum which involved 98 children (41 females and 57 males). The children had an opportunity to discuss the Millennium Development Goals (MDGs), and the Post-2015 agenda, i.e., the Sustainable Development Goals (SDGs). The children were able to discuss and appreciate the progress made on MDGs in Kajiado county, the process undertaken in developing the SDGs, consensus with the children on what can be done together to socialize the SDGs in Kenya for the purposes of ownership and support by the children and their communities, and most importantly this gave them an opportunity to write specific messages to their leaders. This was an important initiative in the Violence Against Children Campaign, a social issue which is still prevalent across Kenya. With their right of being respected, the children got the opportunity to have their voices heard and documented. The forum helped the children develop key messages that they want considered by Government during the development of indicators, financing, and the implementation framework for the SDGs, especially in reference to Violence against Children (VAC) related SDG targets. Increased school retention for the girl child: A total of 3,677 girls were provided with sanitary towels to reduce school absenteeism during their menstrual period—enabling girls to attend lessons and improve their academic performance. School absenteeism among girls is associated with the lack of sanitary towels as girls shy away from school during their cycle. The majority of the affected girls hail from low income households and cannot afford to buy the towels. Limited access to safe and affordable sanitary pads in Kenya remains a major hindrance to education access among girls. This support came in handy as it ensured uninterrupted school attendance for the participants. Further, a Local Partner in North Rift provided 40 double deck beds to the Lerata Primary school to furnish the newly constructed girls dormitory, benefitting 96 girls aged 6-14 years. This initiative supplemented government efforts to provide low cost boarding schools in ASALS in collaboration with supporters and the host community. ChildFund Kenya recognizes the fact that in most communities, girls suffer disproportionate inequalities in regard to the right to education; and while there is normally parity in enrolment rates, more girls drop out of school and do not transition to secondary school. 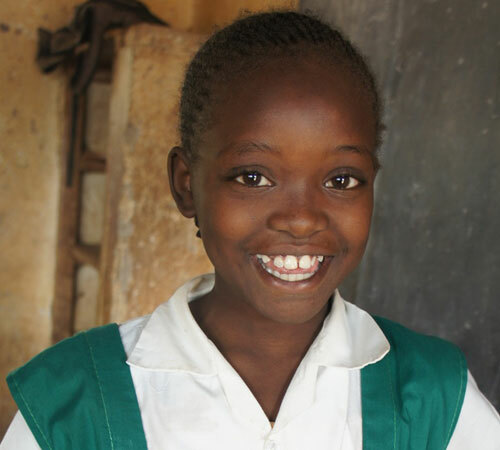 ChildFund worked with the duty bearers and the local community to address the underlying barriers to girls’ education. However, this initiative is not a “girls-only” project. Since we aim to address gender inequalities in education based on the local contexts of the target communities, rallying all the stakeholders, including both boys and girls as promoters of gender equality, is likely to yield better results than having a girls’ specific project that is likely to be seen in isolation in terms of the underlying issues. Improved life skills for youth: A total of 1,034 youth (560 females and 474 males) were sensitized on life skills, to help them analyse their strength and weakness, set personal and vocational goals, and cope with daily life experiences. The participants covered topics such as, female genital mutilation (FGM), early marriages and HIV/AIDS among adolescents, alcohol and drug abuse (ADA), peer pressure, as well as the related negative effects, and prevention. They were also sensitized on leadership skills and entrepreneurship issues, to improve self-esteem, confidence and motivation. Further, Local Partners in Mt. Kenya East (Tunyai, Embu and Mutonga) and Thika/Kiambu provided vocational training in tailoring and dress making, hair dressing, mechanical engineering, computer studies, carpentry & wood work, among others, to 266 youth (132 females and 134 males). This will ensure that the youth gain employable skills for both their development and the community at large. This will also reduce idleness and bad behaviour among the youth because they gained skills/knowledge which will lead them to be gainfully engaged after completion. Improved livelihoods for youth: A total of 1,013 youth (520 females and 493 males) were trained on various livelihood initiatives. In the Lake Region, youth were trained on horticultural crop production (kales, onions, tomatoes, carrots and pepper-capsicum) and dairy farming aspects (i.e. proper feeding, parasites and disease control, housing and breeding practices, calf management and marketing of the livestock products). Out of this number, 16 youth (10 females and 6 males) received heifers. It is envisaged that this will improve their family’s livelihood. Further, 3,135 youth (1,628 females and 1,507 males) received business skills, entrepreneurial and marketing training which will enable them to become more knowledgeable in selecting, planning and managing their income generating activities. It is envisioned that they will use their entrepreneurial skills to start small scale businesses, thus increasing their income. The skills will also assist them with selecting suitable IGAs, to consider their long term financial security. Increase access to resources by youth: In the Kisumu Development Programme (KDP), 733 youth (410 females and 323 males) were sensitized on the process of accessing devolved funds. The Youth Enterprise Officer took the participants through the qualifications and requirements to access devolved funds/GOK loans. Training included, group formation, importance of group constitution, different sources of finance for business start-up, financial management and planning, and the requirements to access GOK loans. Since most groups were not registered and thus the youth could not benefit from the devolved funds, they were encouraged to register their groups in order to benefit from the funds. Increased access to youth friendly reproductive health services: In collaboration with the County Government and other stakeholders, ChildFund Kenya reached 833 youth (251 females and 576 males) aged 15-24 years, during various reproductive health outreach initiatives in Mitubiri, North Rift Cluster (NRC), NIP and Emali. These youth friendly reproductive health trainings included information on the rights of young people to services that promote effective decision-making around reproductive health, contraception, HIV and STI prevention and treatment, human reproductive anatomy, basics of parenthood, diseases associated with reproductive health, and cancer screening. A talent show was an innovative approach used at Mitubiri, which allowed youth the opportunity for appreciation, participation and creative experience in leisure, music, art, dance, drama crafts, novelty events service, and cultural activities. This helped engage the youth in making good use of their leisure time, expressing their beliefs and values as well as promoting and preserving local art and culture for their benefit and that of future generations. During FY15, a total of 610 children with special needs were accessed as needing therapy services (232 females and 388 males). About a half of this number suffer from cerebral palsy while the rest were diagnosed as developmentally delayed. At least five children have been fully rehabilitated and integrated back to their communities. The support provided to these children with special needs ranged from occupational therapy services, usually scheduled to run for a period of time, settling medical bills for hospital visits, treating ailments or referrals from the occupational therapy clinic, and support with assistive aids such as wheelchairs, and walking and sitting aids. In a bid to build the capacity of the caregivers, a total of 30 parents were trained with the support of Aphia Plus on PSS and management of the needs of children with special needs, to enable them to maintain appropriate care, and stimulate the children for positive development at the household and community levels. The caregivers were also sensitized on the need to have their children registered with the National Council of Persons with Disability. This has since enabled the children to have access to additional assistance and therefore leveraging the support from ChildFund. 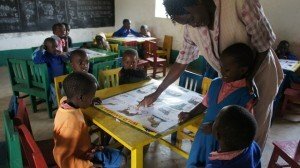 As the children with special needs grow and leave occupational therapy and are integrated into community life, there is increasingly a need to support them in establishing livelihood activities, to empower them to be self-sustaining (i.e., in leading a normal life and supporting their families). The Nairobi Integrated Programme assisted five (5) former clients (two females and three males) at the Occupational Therapy unit with vocational skills training and capital to start income generating activities. Denis Mushii, a mentally disabled child and one of the children that benefitted from these services started a water kiosk and is selling water to the residents of the Korogocho informal settlement. Children’s Participation in Post-2015 Advocacy: Part of ChildFund Kenya’s Post-2015 development and advocacy agenda entailed facilitating children’s forums where children were given the opportunity to come up with messages on issues affecting children, urging their leaders to prioritize these issues during negotiations on the SDGs, and in subsequent post-SDG adoption engagements such as the development of indicators, financing and implementation framework for the SDGs in Kenya, in reference to Violence against Children related SDG targets. These messages were shared at different forums, with stakeholders including Kenya’s Cabinet Secretary of Finance, and Kenya’s First Lady Margaret Kenyatta. In addition, 50 children, aged 10-13 years, from a school in Kiambu County participated in the Show your Hands Initiative. The children printed their hands on a piece of paper and wrote messages on Child Rights. The handprints were scanned and will be shared with the Alliance Secretariat. The objectives of the exercise are to: (1) demonstrate to UN Member States and UN entities the worldwide support for the prevention of violence against children in the post-2015 development agenda; (2) enhance the profile of ChildFund Alliance as one of the leading child-focused organisations speaking out about violence against children, and bringing children’s voices to the Post-2015 agenda through Small Voices, Big Dreams, child-led consultations, and focus group discussions; and (3) enhance the profile of the “Free from Violence” campaign, as the process comes to an end. Leaders Training in Aflatoun methodology: A total of 52 (26 male and 26 female) Aflatoun Local partner club leaders were trained on club leadership. The training is aimed at empowering these leaders to champion children’s rights at school and in the community, and to support the establishment of various enterprises to support their respective club activities. Building the capacity of caregivers on positive parenting practices: Continuous sensitisation of caregivers on sound approaches to parenting has yielded very positive results. Knowledge on the negative implications of poor parenting practices has led to improved child-parent relationships. Courtesy of the essential package interventions made possible through the Conrad Hilton grant, young children have been observed enjoying positive interaction with their primary caregivers. Caregivers are increasingly spending more time caring for their children compared to the time period when the project was initiated in Nairobi and the Coast. Facilitation of children’s psycho-social support forums: A total of 250 children (125 females, 125 males) participated in children’s forums organised by local partners. Activities during the forums included play, discussions on life skills, and resilience building tasks, to empower them to overcome life challenges. Establishment of child rights clubs: During FY15, 26 children’s clubs comprised of 1,293 school-going children (662 females, 631 males) were established through local partner efforts. These forums give children the opportunity to voice issues affecting them, to leaders. Contribution to campaign against child marriage: Lack of sanitary towels significantly affects girls’ general performance and retention in school. Also, many girls are forced to engage in risky sexual behaviours just to be able to buy sanitary pads. Others who fail to see “light at the end of the tunnel” result to getting married. To mitigate these undesirable scenarios, ChildFund Kenya, through local partners, distributed sanitary pads to 3,677 girls. Participation in the development of national documents: ChildFund Kenya was represented in the technical working group that developed the National plan of action for children in Kenya, and the soon to be released psychosocial support guidelines. Participating in round table discussions with Kenya’s Cabinet Secretary of Finance to secure government commitment to allocating resources towards ending violence against children. Facilitating Engagement of Child Focused CSOs with the Department of Children Services (DCS) to come up with a shared understanding on the implementation framework for the SDGs in Kenya. ChildFund Kenya received funding from the Conrad N. Hilton Foundation in January 2013 to implement the project Assuring the Essentials of Optimal Development for Infants and Young Children Affected by HIV and AIDS (January 2013 to December 2015) in Nairobi and the Coast regions of Kenya. This project seeks to ensure that young children affected by HIV and AIDS enjoy good relationships with responsive caregivers, supported by effective programmes staffed by Community Health Volunteers (CHVs) and ECD providers, who are knowledgeable about supporting family relationships. The project is being implemented through a two-prong strategy in households and ECD centres. The project started by building the capacity of Community Health Volunteers (CHVs) and ECD service providers through various trainings to include Essential Package, relationship based interventions, Journey of Life and basic early childhood development, including development of play, teaching and learning materials. Reflective Supervision training was conducted for supervisors who provide day-to-day support to CHVs and ECD service providers. These trainings gave the CHVs knowledge on early childhood development for the first time and improved their skills in conducting home visits. Following the training, the project embarked on conducting monthly home visits to selected households of caregivers and children ages 0-5 years affected by HIV/AIDS. During the visits, CHVs educate caregivers with integrated information on health, nutrition, rights and protection, care and stimulation and economic empowerment of caregivers contained in the Essential Package. In the ECD centres, service providers use the information from the Essential Package (EP) to interact with children. Both in the households and ECD centres, EP messages are being used to foster responsive relationships between caregivers and children under their care. The relationship between caregivers and their children has improved as reported from the monthly reflective meetings we hold with the TOTs. Children are enjoying close relationships with their consistent caregivers as seen from home visits, where children sit closer to their caregivers and participate in the discussions. Caregivers feel more competent and confident in caring for and meeting the needs of their children. Caregivers appreciate the importance of play to child development and give children opportunities and play materials to support this activity. Community volunteers appreciate the EP cards because they have improved the delivery of messages to caregivers, and are recognized by the community leaders and communities at large; hence they feel appreciated and recognized. They also feel competent and confident in their work as well. County governments of Mombasa and Kilifi appreciate the efforts of the project to include the use of the Essential Package to reach out to young children, undertake infrastructure improvement and build the partnership between the project and government officers. During FY15, the Eastern Community Development Programme (ECDP) equipped a total of 2,371 farmers (1,628 females and 743 males) with skills in good agricultural practices including: land preparation, manure applications, early planting, selection of planting seeds, weeding, disease and pest control, and post-harvest management. Out of this number, 101 farmers (all females) were provided hybrid cockerels for upgrading the local breed. The farmers are expected to use the knowledge acquired during the training to manage their fowls to enable the maximum production, improve crop production, and reduce farm produce loss, aimed at increasing household income, which will improve purchasing power and the nutritional status among the targeted communities. In addition, nine caregivers were provided drip irrigation kits to initiate home gardens and ensure a constant supply of vegetables and other food crops to combat malnutrition among the children ages 0-5 years. Further, 23 farmers in Emali (18 females, 5 males) were trained on poultry keeping as an Income Generating Activity. The farmers were drawn from five (5) VS&L groups that are practicing and already registered. The participants were trained on poultry rearing, importance of disease control and prevention, housing, breeding, breed selection, and marketing (to sell the poultry and their products). 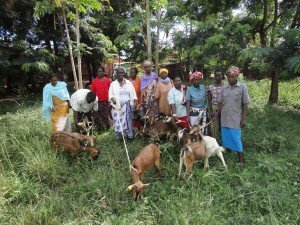 Rongo and Kenyenya Local Partners supported a total of 31 individuals (24 females, 7 males) with dairy heifers to cross breed—aimed at improving families’ livelihood as well as nutritional status. Individual beneficiaries were trained on dairy farming, proper feeding, parasites and disease control, housing and breeding practices, calf management as well as marketing of the livestock products. The sessions were facilitated by Sub-county Veterinary officer (SCVO) – Rongo and Sub-county Livestock officer (SCLO)-Bomachoge Borabu. In order to ensure sustainability and continuity of this initiative, the beneficiaries will donate a calf to the next beneficiary within their zone after calving. The distribution was presided over by a Sub-County development officer and four (4) area chiefs, Sub-County Veterinary Officer, Sub-County Livestock Officer, Project Coordinating Committee and zonal leaders at the respective distribution centres (the site offices). Additionally, the Emali Dedicated Programme facilitated training for 25 community members on animal health and pasture conservation and stock management to control overstocking, which is a major cause of overgrazing. This brought together farmers who were trained as resource farmers in animal health and pasture conservation matters. They were trained on animal diseases, breeding, treatment, and animal feeding among other topics. This was aimed at improving the animal production, and pasture, stock and breed management. The goal is to help livestock farmers realize better returns. To ensure that the target households are food secure, the Kisumu Programme Area linked their beneficiaries in the six sites to One Acre Fund, an organisation that is giving training to farmers and empowering them to form small interest groups that are provided with soft loans for farming. In the Busibi site, 60 households received fertilizer, seeds, treated sacks, insecticides and other equipment including solar lamps that are paid for in instalments. Supervisors are deployed in the community to ensure the groups work as per the requirement to enable them to produce good yield, in order to pay back the loan effectively. Additionally, 185 farmers (176 females, 9 males) in ECDP were trained on appropriate food production techniques. This was critical given the changing farming trends and environmental conditions that require a paradigm shift from the traditional farming methods which rely on rain fed agriculture. Further, in Kikuyu, 42 farmers (40 females, 2 males) were trained on farming and environmental conservation to improve food security and enhance environmental conservation. The training was organised by the Kerwa Child and Family Programme in collaboration with the County Ministry of Agriculture and Ministry of Environment. Also, the Kerwa Project identified and mobilized beneficiaries to participate in a three year government food security programme initiative in the Lussigit Zone, and a soil testing activity. The aim of the soil testing was to guide farmers on the best seeds (both crops and trees) to improve farming. Most of the farmers in the area have been getting low yield from their farms in the recent past, supporting the need for this initiative. In a similar endeavour, the Emali Dedicated Programme facilitated training for 33 community members (14 females, 19 males) on environmental conservation. This brought together farmers who were trained as resource farmers in environmental conservation matters. They were trained on soil, water and general environmental conservation including climate change. The trainees were drawn primarily from the water project committees. They are expected to train all the water project members and practice the skills as they engage in daily activities—thus enabling continuity, sustainability, and community relationship building. 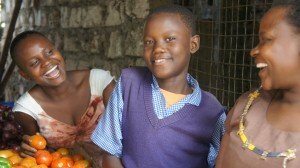 ChildFund Kenya conducted a six month Mobile DFC pilot study with Maka Children’s Funds, one of ChildFund Kenya’s Local Partners, from October 2014 to March 2015. After three months of intensive preparatory work, Maka DFCs for January and February 2015 were paid to all beneficiaries using one of the leading mobile telephone operators, Safaricom MPESA money transfer system. Mobile DFC payment, as it became popularly known, is efficient and cost-effective. For starters, the cost per transaction dropped from Ksh100 to Ksh33 (1USD=Ksh.102), a reduction of about 67%. This was a huge cost-saving for the LP at a time when sponsorship funds are declining. Secondly, mobile DFC payment reduced DFC/TYL turnaround time from an average of 45 days to one week. This will greatly enhance timeliness and donor satisfaction. However, the greatest winners were the participants. They received the money instantly in their phones on the prescribed day. They did not have to travel to the bank and wait in the queue for long hours—saving on travel expenses, time and energy. Most importantly, they were more productive as they did not have to abandon their daily chores to go and retrieve the DFCs. Instead, the money came conveniently into their “pockets”. Finally, the participants appreciated security and confidentiality of the mobile money transfer. No one in the village knew they had received the money and hence they felt safe and secure. MPESA Bulk payment enables organisations like ChildFund to send money by mobile phone to many people who may be widely dispersed. The service targets organisations that would like to do promotional payments, field staff disbursements, utilities payments, salary disbursements and dividend payments. It is easy to use, cost-effective and secure, as it eliminates the need to carry cash to the areas of disbursement. ChildFund Kenya has been using MPESA to disburse payments to other individuals as well, including advances to staff, monthly allowances for Community Health Workers (CHWS) and programme coordinators, lunch and transport allowances for participants during workshops. This enables ChildFund Kenya to transfer money quickly and efficiently to all who need it, when and where they need it. So far, ChildFund Kenya has transferred approximately KShs 5 Million per month which is equivalent to $58,000 USD. Parent of a sponsored child: “This payment of our children’s DFC through Mobile money has saved me the fear of losing the money since I have a small business here in town (Kangundo) where I may lose the money in the process. Security is guaranteed since the money is in my phone”. Malaria Day Commemoration: The Emali Dedicated Programme partnered with the Ministry of Health in Makindu Sub County and the Emali Model health facility to commemorate malaria day which is observed on 25th May of each year. We educated the community about malaria and its treatment. In addition, Kano Plains enabled 72 children and parents (45 females, 27 males) from enrolled families to participate in the event. Further, Ranga’la, Rera and Busibi Local Partners in the Lake Region enabled 90 enrolled children to attend World Aids Day at the Sega Township Secondary School and in Port Victoria. Global Hand Washing Day Celebration: Local Partners in Kenyenya, Rongo and Kendu Bay conducted Global Hand Washing Day celebrations. During these events, pupils from primary schools and the public were sensitized on best practices in hand washing, observing demonstrations on the steps in proper hand washing. The participants were also reminded about the critical times to wash hands and the importance of hand washing, the key one being prevention of diarrhoea. The theme for the event was “Choose Hand Washing Choose Health.” This event was conducted in collaboration with the ministry of health of the respective sub counties. In collaboration with Ministry of Health in the respective sub-counties, a total of 613 primary school children (312 girls and 301 boys) were reached. Further, the Emali Dedicated Programme partnered with the Ministry of Health and German Agro Action to celebrate the Global Hand Washing Day held at the Kilongoni Primary School in Makindu. A total of 450 children from five (5) different schools participated in the event. This has promoted healthy practices that help reduce sanitation related diseases in the community. The day provided an opportunity for various organisations and stakeholders to express their concerns about the trend in child marriage—which keeps escalating and at times is encouraged by adults and caregivers—and the increasing number of children being “sold off” in marriage. The national events were launched in the Marsabit County Headquarters on 9th of June, where the Maikona Child and Family Programme, in partnership with the Department of Children and Catholic Mission Maikona, enabled 60 children and two teachers (30 girls, 30 boys, one female teacher and one male teacher) from Maikona and Marsabit to join other children from all over the County. In addition, the Kisumu Development Programme and the Lake Victoria Child Support Programme, in partnership with the Nyando Sub-county Children’s Office and other Public Benefit Organisations (PBOs), enabled children to attend the celebrations. The occasion drew participants, mainly school children, government line ministries, PBOs and parents from different locations within the Nyando Sub-County. Kano Plains enabled 14 enrolled children (7 girls and 7boys) to participate, while St. Francis enabled 20 children (7 girls and 13 boys) to participate in the day. There are still quite a good number of children who do not have sponsors which limits the amount of funds available. This may pose a challenge on the number of implementable projects. There is need for concerted efforts to diversify sources of revenue to reduce stress on the sponsorship funds. This can be accomplished through training in strategies for resource mobilization, especially grant acquisition and management. In order to accelerate the delivery of health services, there is a need to allocate more funds to intensify health outreaches and empower more health personnel to offer their services at outreaches, to respond to the high numbers that attend the outreaches. Programmes need to continue working closely with the community health volunteers to ensure continued sensitization of the general community on health matters. Dialogue days should be embraced and continued since through these, more health needs within the community would be identified and addressed as appropriate by the concerned partners. Key partner PBOs and National and County Governments have a number of unexploited resources and opportunities in education and health, especially for youth and the elderly. Therefore, we (National Office and Local Partners) need to step up our efforts in networking and collaboration to realize impact in the health sector. The turn out by the National and County government officials is a positive indicator that they have the will to work with key partners and to provide technical support. The recent teachers’ strike affected implementation and actualization of some outputs related to supporting children with bursaries, schools with tanks that needed the participation of the children, and school management committees. Devolved funds need to be exploited, to expand the resource pool of local partners. This is going to be through continuous engagement meetings at the Sub-County levels. ChildFund Kenya, through its local partner Kerwa Child and Family Programme, prides itself for transforming the lives of children though the various programmes it implements. Njogu and Teresiah are just but a few examples of lives that have turned out for the better. Njogu and Teresiah were enrolled into the programme at an early stage when their family was in dire need of assistance. Their parents did not have a reliable source of income and mostly relied on casual labour which was not readily available. The family often went without food, wore tattered clothes, and lacked proper shelter. This affected the children’s growth and development. The parents therefore sought assistance from the project and their children were enrolled in 2001. Fortunately, the same year they were enrolled, they were assigned a sponsor, Wendy Williams. Since then, their lives have never been the same again. Wendy has brought a ray of hope to this family. Through her generous contribution and that of many other sponsors from around the world, the project has been able to implement programmes that have changed the lives of children. Wendy not only supports her two sponsored children, but also their siblings. All 10 children in that family have gone through school thanks to her generous support. Her two sponsored children recently completed high school and we are proud that all signs point to the two joining institutions of higher learning. Wendy has supported this family for the last 18 years. She is not just a sponsor to them, she is part of their family, and they are one big family. She has visited them nine times, the last one being February 2015. In 2009, she travelled all the way to Kenya to witness the first born son in the family say “I do” to the love of his life. The couple later went on a 7-day honeymoon fully paid for by Wendy. This is an experience that has remained forever etched in their memories. It’s always a joy when the Njogu’s meet Wendy. They always look forward to seeing her, hearing her advice and words of wisdom, and appreciating the gifts she brings from Spain. A new shirt, or dress, or a pair of shoes for the children means a lot. It’s always a magical moment watching the children excitedly open their gifts. Wendy is a source of hope and encouragement to this family.